Darshan Driving School offers you with Automatic and Manual driving lessons to all suburbs in Melbourne. We help you to pass your driving licence test at near by your VicRoads such as Frankston (Seaford), Carlton, Broadmeadows, Bundoora, Burwood East, Dandenong, Hoppers Crossing (Werribee), Mooroolbark, Oakleigh, Pakenham and Sunshine. Now its very simple to book your driving lesson within a call or through just a click. Darshan Driving School is Melbourne's leading driving school with a dedicating team of highly experienced and government accredited driving instructors. 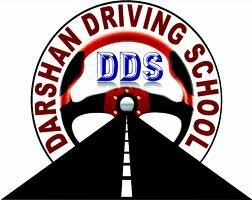 Darshan Driving School provides driver training in the South, Inner, North, West and Eastern suburbs of Melbourne, Victoria. Our Driving School in Melbourne male and female instructors have more than 10 years of experience to get your Victorian Driving licence in the shortest possible time slots. We deliver our driving lessons to the students to improve their essential skills and areas required in order to not only pass their drive test, but also to drive confidently on the Melbourne roads.